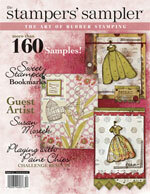 Have you seen the latest edition of Stitch Craft Create? 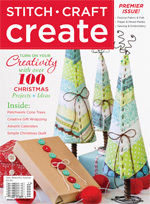 You may remember that the first edition featured my quilted trees on the cover ... And today, they are offering one of my pieces on the Stitch Craft Create blog as a free project! So cute, don't you think ... a quilted cozy for a bouquet of flowers, just in time for mothers day. You can find the post here along with the list of tools and instructions needed to make this cozy. A simple rolled rose necklace ... but the best part about this project is that the roses are interchangable. The sky is the limit here with the different color combinations. I'm so happy for the good people behind this magazine and Shannon, the editor couldn't be more professional and just really great to to work with. 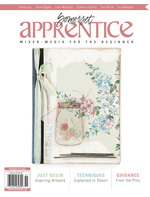 Congratulations F + W Media Inc. on another successful publication! Mother ... Daughter Apron Giveaway! 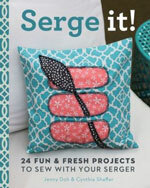 Hop on over to Lark Crafts and get in on this great giveaway! I'll be emailing you to get your address! 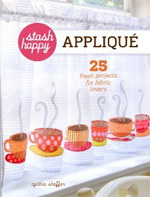 Stash Happy Applique : : Giveaway! 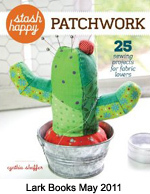 I have never done a giveaway here on my blog, but thought that today ... the day that my book Stash Happy Applique (Lark Books) is officially out and about in the book stores, was the perfect day to start a giveaway! Right? So here it is ... a copy of my book, and this adorable house pillow! So fun don't you think? 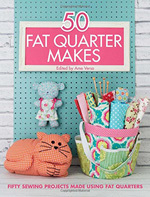 The book is packed with super cute applique items from wearable, home decor and gifty things as well. Check out these happy woodsy Gnomes ... so cute don't you think? Anyways ... here's what you need to do if you want to win that house pillow and a copy of my book. Starting right now ... Tuesday April 3rd, leave me a comment here on my blog, anything really ... I love funny animal stories, and then on Monday April 9th I'll pick the winners name randomly from a basket! Good Luck ... Oh and if you'd like to purchase the book, you can find it here. My Husband just called to inform that he will be traveling in the upcoming months ... It's Japan again ... my favorite place! He travels there often and always returns home with some very interesting candy for my kids. We never know what it will be and I have to tell you, I have only actually tried a few of the 'sweets' he has brought back. Why you might ask ... well here's why ... I learned early on in his traveling days that a lot of the Japanese candies are made from bean paste ... and I love beans, but here's where I have an issue ... I can not wrap my brain around the idea that beans are a sweet treat. To me the are salty, savory and are often slathered with onions and cilantro. So ... do you understand my problem? Here's a funny story ... so my mother had a Japanese foreign exchange student named Yoshiko come to live her for a year. We introduced her to all of our favorite foods, including refried beans ... she tried them and nearly spit them out on her plate ... she could not wrap her brain around the idea that they were not sweet! The wrapping and presentation is a feast for my eyes ... I love all the color and love the attention to details. Unwrap and flatten colorful candy wrappers ... feed the candy to your children! Cut out random shapes and swirls from the wrappers. Using a glue stick, randomly adhere the pieces to a panel of watercolor paper. Free motion stitch the wrappers in place and then onto the card in swirls and loop patterns. Add some color with watercolor pencils and doodle shapes with a black marker. Here's to Japanese candy, happy and safe travels for my husband and crafting and doodling! Paper Towel Art : : It's all about the details. Just playing and exploring here. Trying some new techniques here. Remembering just how much I love to sew. Machine stitching, hand sewing and couching ... I love it all. 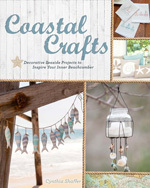 Just doing and remembering ... remembering just how much I love to craft and create! Want to know more about these inky paper towels? Check out this earlier post HERE! OMG ... Check out my calendar for the New Year; a duet with Danita! But the truth is, I kept flipping through all the months to see all the different paintings and it was constantly getting out of order. At one point, I even thought I lost September and turned my studio upside down looking for it! Since taking Danita's on-line class, I can not stop making fabric paper. For this duet I think I made just the perfect background for her calendar. With the months now stitched to this art quilt, I can see all of Danita's little paintings every day of every month and I couldn't be happier. Here are some close up shots of what I did. After making the fabric paper, I painted some small circles in a few different colors, then added some free motion stitching, oh, and a free motion flower. Next, came the layers of backing. First there's a layer of cream felt that I painted with gesso and then a panel of burlap. As you probably know, burlap unravels way too easily, and so I brushed the edges with a little white glue. And then I stitched on a few little strips of painted felt. To hang the quilt I added a few burlap loops and an old painted yardstick. 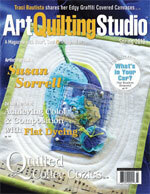 Want to learn more about making fabric paper and Danita's art quilts? There's still time to take her on-line class. Trust me, you will not go away from that class wanting. 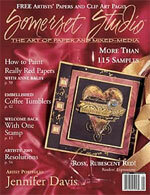 Danita put so much of herself in this class - it's so full of new info and ideas that I'm sure you will want to incorporate it all into your own collages, journals and art quilts. The weather has definitely taken a turn around here and in fact it is down right cold out, all the time it seems ... well, not Minnesota cold, but cold for California. And, when the wind picks up a bit, and I'm outside watching a baseball game ... a wool scarf is about the only thing that really warms me up to the core. First I gathered a couple of wool sweaters in coordinating colors. I found these 2 sweaters at my local thrift store, and the pink one had been felted, just slightly. Next, I dusted off my serger and then just dove right in and serged the bottom rib, cutting off about 1/4 inch as I went. To make the knit ruffle, all you have to do is pull or stretch the sweater as it is going under the machine foot. If you want the serged stitch to be dense than shorten up the stitch length on the machine. Then, I just started cutting out panels from the 2 sweaters. Each panel measured about 8 inches wide and as long as I could possibly get. I even opened up the sleeve and found a nice long 8 inch wide piece there too. After I had several segments cut, I lined up the pieces the way I wanted them and then started serging the seams together. Note: If you look really close at the above photo, you can see that I have serged the brown piece to a non-ruffled pink piece, then placed a ruffled pink piece overlapping that seam but meeting at the top of that non-ruffled piece. Now seam the 2 or actually 3 pink pieces wrong sides together. Piece the scarf together until you have about 70 inches total in length. How cute is this? Doubled up or hanging down! While I'm on a roll here, making these infinity scarves from old tee-shirt, thought I'd show you my version made from a tee-shirt my husband tossed in the Goodwill bag! The funny part to the tee-shirt story ... there's a part of this tee-shirt that I cut off and am saving for a later project that says ... "I'm probably not" ... Soooo my husband ... kind of surprised he was tossing this tee-shirt out. Another infinity scarf, this time made from thrift store finds, then cut into strips and the tied together. This could be a no-sew project, although for this scarf, I did do a little hand sewing to add a little stitched interest. Needless to say, the rolled roses are super addicting, and make that perfect little something to pull the scrappy look of the scarf altogether. Oh, and these would make the best little decorations for ballet flats, headband, or just to clip on the outside of your purse! Happy Thrifting ... Happy Crafting! Yesterday : : So Cozy ... So Great! And best of all ... connecting with old friends and making some new firends all while crafting and creating during this Oh So busy time of year! The kits are ready and my rolling crate is all packed with all the goodies needed for the 'Oh So Cozy' class this Saturday. There's 3 very cute gift-giving projects being taught, just in time for the Christmas. This scarf is what I will be teaching ... Rolled Rose Brooch instructions included. And in case anyone wants to purchase a cute gift for that crafty friend,I've put together a few rolled rose brooch kits with pre-cut strips, ready for crafting! There's still a little time to sign up ... so hop on over here and check it out! Just in time for the holidays ... Come join Jenny Doh, Tracy Schultz and me in this fun and cozy workshop where you learn how to crochet this adorable apple cozy, an infinity scarf or a no-sew scarf including these rolled roses and then a few cup cozies ... all for this perfect gift giving season! Instructions will be given all day, with a small break for lunch and at the end of our time together you'll be able to mark a few of those gifts off your Christmas list! Come join us won't you? Sign-ups are happening right now, and space is limited so click on over to Studio Crescendoh and we hope to see you on the 10th. Just playing with some thrift store finds. Sometimes I get an idea and I just have to act on it right now! A week ago or so, my car was in the shop and so I was without a car. I had to go to the thrift store that day so my husband kindly dropped me off on his way to work ... I than walked home. Well, little did I know that I would be walking home with bags of wool sweaters and suits! Plant pouches ... so fun, super simple and look how cute they are on a chain linked fence! Gather or purchase old wool sweaters. Toss them into the washer. Wash the sweaters using really hot water and a little bit of laundry detergent and start the washer. Check on the sweaters every 10 minutes or so. You don't want the sweaters to over-felt and become super thick. Hang the sweaters out to dry or lay them flat on towels. This could take a good day or so! Next, cut out a portion of the sweater that measures roughly 6 x 15 inches. Overlap the seam and whip stitch it together with a large eye needle and yarn. Machine stitch across the bottom seam, then add a running stitch to the bottom of the pouch. Embellish the pouch with hanging buttons or dotted with buttons all over the pouch. Cut a length of steel wire approximately 24 inches long. Poke the ends of the wire into the sides of the pouch and twist together. Make sure the wire is secured about an inch down from the top of the pouch. Snip small holes into the bottom of a sandwich bag. I really like the ones that have the extra heavy zip lock tops. Makes it easy to add the soil and the plant. Fill the bag with potting soil, and then slip the bag into the pouch just to make sure it fits. Take the bag out of the pouch and pot your pony pack plant or two. Slip the potted bag back into the pouch and arrange the stems and flowers around the wire hanger. Hang and display anywhere you'd like! Note: You can water the plant while it's still in the pouch if you have them displayed outside. Excess water will just drip out the bottom, though some water will get absorbed into the wool. Hop on over to Lark Crafts and check out other felt projects, as they continue to celebrate the release of their latest book, Stash Happy Felt! Flip through the book and see a couple of my projects in there. Oh and ... I had the good furtune of photographing that book as well! Now go pot some plants in those felted old wool sweaters! You'll have to hop on over to the Lark Crafts site and check out today's post on some super cute Mason Jar cozies I made for their month long felt party! Here's another quick project a whipped up to help celebrate their felt month. A Mug Rug! What great gifts these make! Gather a few skeins of leftover 100% wool and knitting needles to match. Cast on about 45 stitches and just start knitting. Change colors now and then to stripe your piece, but don't think too much. Cast off when the piece measure about 13 x 9 inches (This will vary depending on your yarn and how big you want your mug rug to be). Do not take the time to weave the ends in, but do trim them down to about 4 inches. After the piece is felted, the ends can be snipped off. Toss the knitted panel into a lingerie bag and then into the washer. Set the washer on HOT water and add a little laundry detergent and start the washer. Set a timer for 10 minutes and run and check the felting as soon as the time goes off. Be careful to not over felt the piece. There's a point of no return, when the piece could get super stiff and bulky. If more felting is needed, toss the piece back in the washer and continue washing, again for just 10 minutes at a time. Wash the panel until it measure about 6 x 10 inches. Rinse the panel with cool water to get rid of the soap, and stretch or block the piece to the size and shape you desire. Dry on towels ... for what will seem like forever ... maybe a few days! Or, to speed up this process ... roll the mug rug in a towel and squeeze the heck out of it. 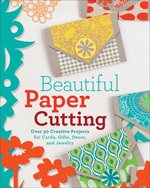 Bind the outer edge with a raw-edge binding in a bright patterned fabric. Embellish with a few scrappy hearts and words. There's plenty of room for a slice of apple or blueberry scone! As I continue my art journaling experiments, I have found that what's lacking in this whole process for me ... texture. I'm a texture and color kind of girl and as most of you know ... a minimalist I am not ... more is more! After playing a bit with masking tape, painting, pleating and stitching it ... I think I found some really fun ways to manipulate it to add just that little bit of interest and focus to my journal pages. Just that little bit of texture ... so needed. Feels so right to me. As I continue to cover the pages in my journal that I started a few months ago, I just pray that I will know when to stop. I pray that I will know when enough is enough. Ok, so ... it's not rocket science, but here's a glimps at what I did. First I torn off strips of making tape in a couple of different widths, then I stuck them to the shiny side of freezer paper. Next I painted and dripped acrylic paints on the tape and set them aside to dry. While the paint was drying on the tape, I started playing with a few of my new found favorite art supplies, Grumbracher Opaque watercolors and these fab wax oil pastels made by Caran d'Ache. What's so fabulous about these wax pastels? It's like coloring with butter, super saturated in color and they resist the watercolors! Oh the possibilities are endless! 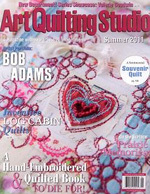 This piece actually has a few fabric squares sewn to the top left corner. The heart was painted separately, then chalked up and free motion stitched over the patchwork panel. Just when I thought I was finished, I slathered a page of old sheet music with gesso then chalked up the outer boarder and added some pencil marks here and there. And here it is again, with a few leaves swiped off and a bit more color added, then stitched to a panel of batting with lots of free motion stitching, added a wire loop and there you have it, resting against husband's pillow.